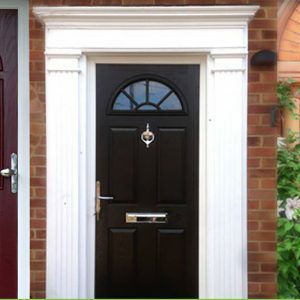 Find a high-security door that’s perfectly in keeping with your period property, or arrange the fitting of multiple fire resistant units in a multi-occupancy building. Whatever you need, the 24×7 Locksmith Services door fitting service in Toronto will be adapted to your requirements. Get new units supplied, or simply call for fitters to rehang existing doors after a renovation project. The things that stay the same are our guarantees of quality, security, reliability and fair prices. Almost anything else is up for negotiation! Like all members of the 24×7 Locksmith Services team, the tradesmen who complete door installations are background-checked individuals who’ve been vetted through the Disclosures and Barring Service, have provided references, and have demonstrated their ability to deliver top quality workmanship in an efficient manner.